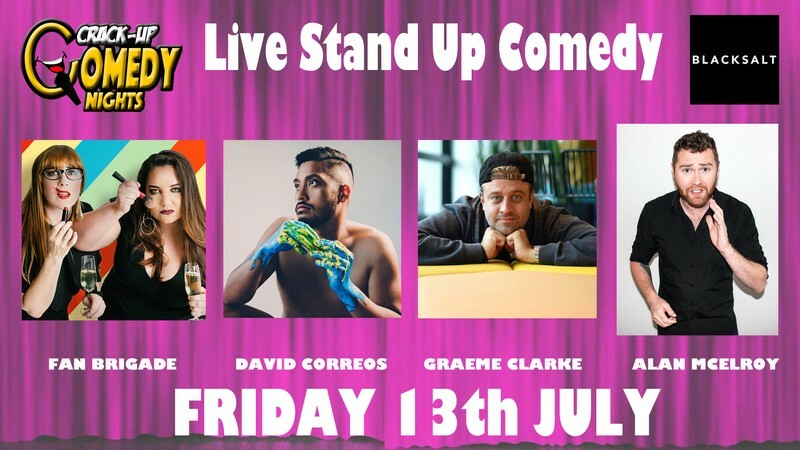 Live comedy is back at Black Salt with Kiwi comedy superstars, Fan Brigade headlining the show. As seen on the Comedy Gala and 7 Days. Canadian comic Graeme Clarke has performed in the NZ Comedy Fest and brings his hilarious observations to Black Salt. Irish comedian, Alan McElroy (Crack Up & Brainstorm) will host & more acts are to be announced.